Bizhub 4750P Monochrome Laser Printer - does the job at 50 pages per minute! 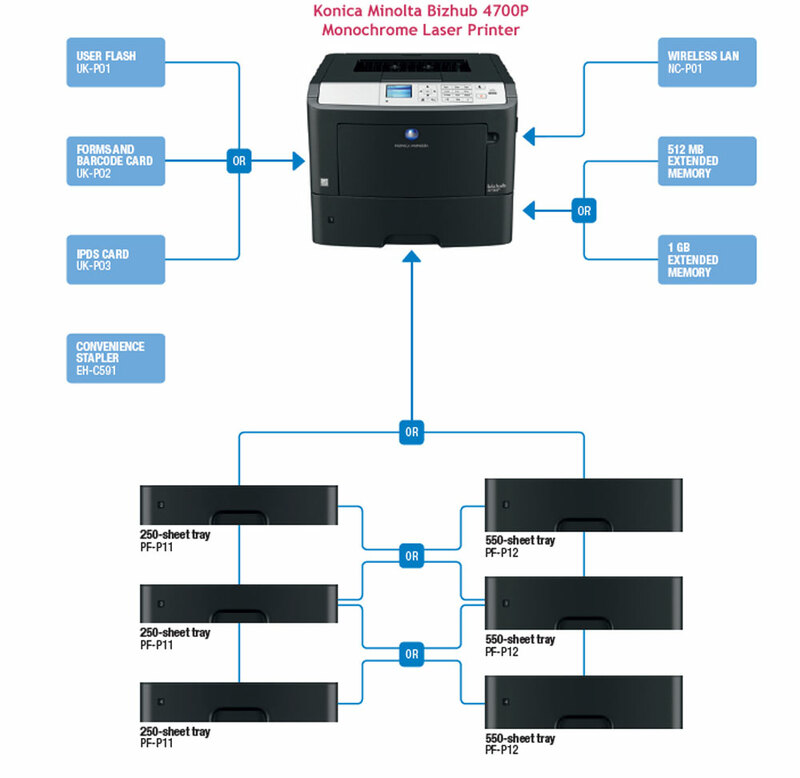 - National Cartridge Co.
That’s right, the Konica Minolta Bizhub 4750P is a new model of monochrome Laser Printer by Konica Minolta that is sure to prove to be a valuable investment for your home or business. In fact, the Bizhub 4750P is a table Top design, compact and capable to fit in small spaces so you won’t have to “work around it”. for Pricing and how to Purchase. As a monochrome laser printer, the Bizhub 4750P is high resolution at its best, 1200 x 1200 dpi; and, a ripping fast print engine at about 50 pages per minute. Printing nearly a page a second, it will also print 2-sided duplex at about 22 pages per minute. So for more information please visit www.national-cartridge.com and search for 4700P on our site.